Euro is losing power due to the German 10-year bonds yield and the ECB protocols report. 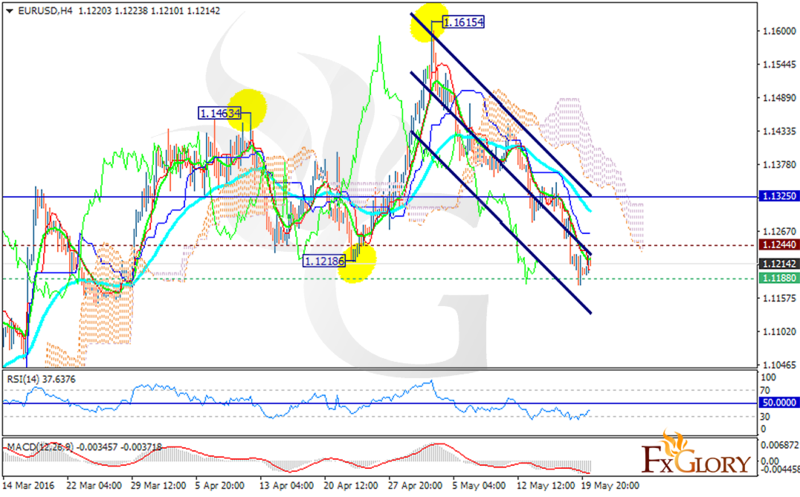 EURUSD is finding support at 1.11880 with resistance at 1.12440 both lines are below the weekly pivot point at 1.13250. The pair is falling down the descendant channel; the EMA of 10 is below the EMA of 50 showing the price movement in lower ranges in recent days. The MACD indicator is in negative territory and the RSI is below the 50 level. The price is under the Ichimoku Cloud and the Chinkou Span. The Tenkan-sen and the Kijun-sen are showing a horizontal movement. The support level breakthrough will pave the way for further decline to 1.1040 .